From a young age, the Belgian skipper Denis Van Weynbergh has dreamed of participating in the Vendée Globe, a single-handed non-stop sailing race, without assistance, around the world on a 60-foot sailboat. To finance his participation in the Vendée Globe, Denis has thought of an original communication concept: the “EYESEA” project. 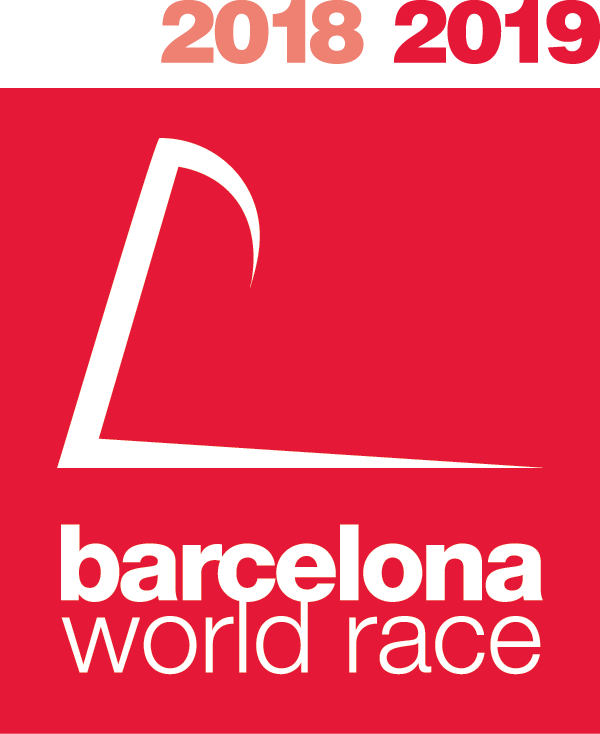 The Barcelona World Race is the world's only double-handed, non-stop, round the world regatta. 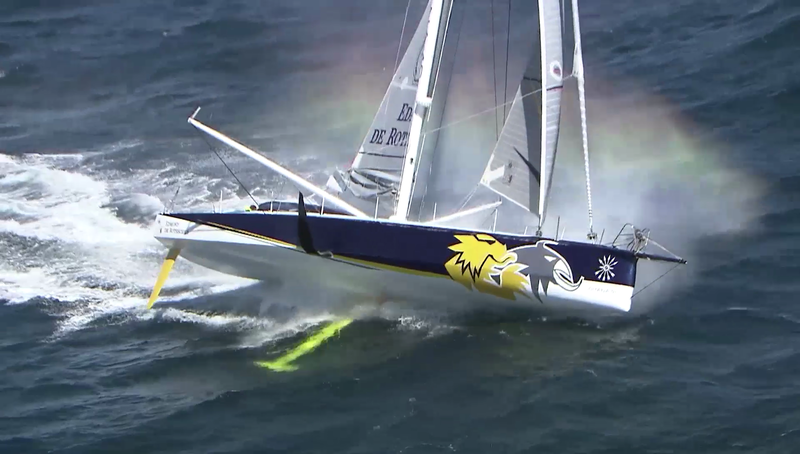 It is part of the IMOCA Ocean Masters World Championship. The Fastnet Race is a famous biennial offshore yacht race organised by the Royal Ocean Racing Club of the United Kingdom. Two sailors, two ports, a biannual race. The Transat – single-handed ocean racing at its best. Up to 3,500 miles of open water from southwest England to New York City. A 50-year-old from Belgium, Denis Van Weynbergh is above all a fulfilled dad of two boys who runs his SME “PN Express Worldwide”, which is active in the transport sector. Passionate about sailing since his early childhood, he is a UCPA-qualified sailing and cruise instructor. 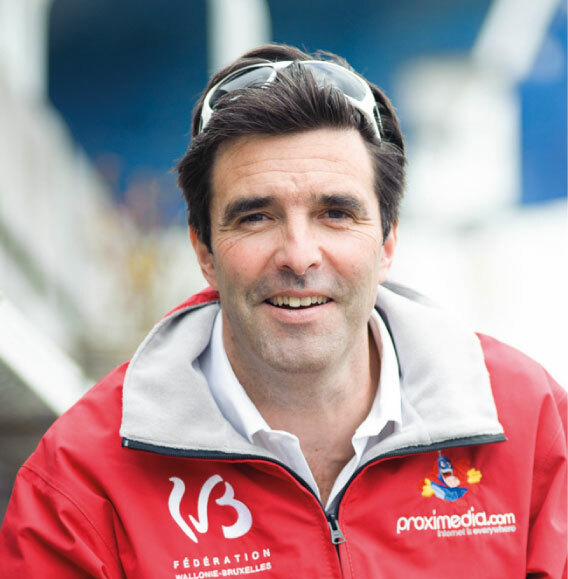 He has also worked as a nautical journalist for “Yachting Sud”, a French-language yachting magazine. This skipper from Brabant currently lives in Ottignies and is trilingual (French-English-Dutch). The “BlueEyes” package includes: the reproduction of the partner’s iris measuring 50cm x 50cm, the printing of the iris on the sail, participation in the conferences on the project, a sea outing on the boat and membership in the “EYESEA” business club.